Guillermo del Toro is a man who loves his horror films, but who has always seemed aware of their far-reaching roots. He understands something about the genre beyond the cinematic and into the literary. 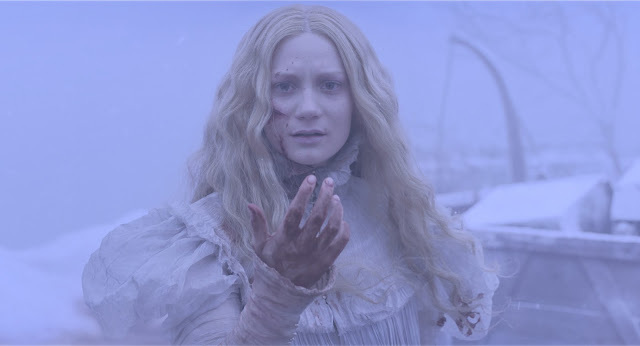 He has looked to fairy tales and metaphor to tell stories of war and present us with vampires like we have never seen, and with Crimson Peak he seems to reach for a pure adaptation of the Gothic. Not a Gothic romance, not simply a Gothic haunting, but a vision of secrets, repression, active atmosphere and spaces that seem to breathe with the past histories of their masters. It straddles the worlds of horror and period drama, but it understands that it is possible to do both without succumbing fully to either. What does that mean? 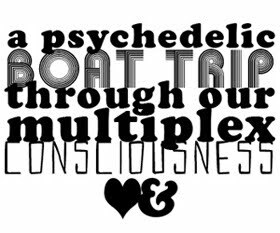 For English major purists, it’s a dreamy concoction. For everyone else? Well, you’re likely to find yourself as split as the film seems. We follow Edith Cushing (Mia Wasikowska), a young woman bound by the rules of the late nineteenth century. Edith dreams of being a writer at a moment where everyone places limits on her aspirations. Through her, we receive a means of reading the film: she writes stories with ghosts in them. Not ghosts stories. Not romances. Stories with ghosts in them. And that is, essentially, the nature of Crimson Peak. Her desire for some kind of adventure is piqued when the mysterious Lord Thomas Sharpe (Tom Hiddleston) arrives in America searching for willing investors for his clay-mining invention. Edith is fascinated by him: wealthy but threadbare, behind the times but relentlessly optimistic, charming but distant. His sister Lucille, too, seems equally captivating. We can understand their appeal as the English figures that haunt Edith’s favorite stories; gaunt, talented, aristocrats with an old world estate and dreams beyond a passive life there. So we are not surprised when Edith agrees to marry Thomas. 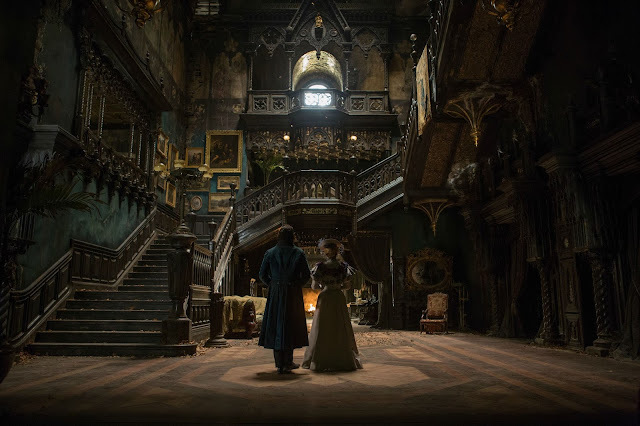 And we are not surprised when we discover the house, Allertdale Hall (aka: Crimson Peak), to be a cavernous haunt in disrepair. And we are not surprised when Edith begins to hear things, to see things, and to question all that is around her. 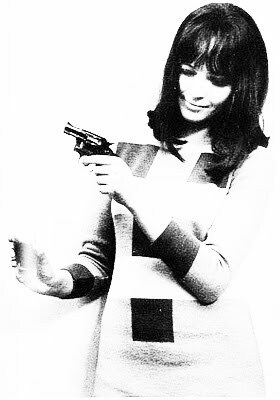 As a role, Edith marks something of a culminating moment in Wasikowksa’s career. She’s something like an aggregate of a host of former roles, and the film seems almost time stamped with traces of Jane Eyre, Stoker, and Only Lovers Left Alive. This is her world, and it is a cinematic space she inhabits effortlessly as a sort of sickly presence, a heroine who is already a ghost of so many former selves and misplaced references. We are prepared to accept her as ingénue and innocent, we are not surprised when she is only fleetingly either. Beyond its stunning art direction, this is Crimson Peak’s major contribution to the genres it flirts with: we cannot easily classify it precisely because it repeatedly rejects the rules it introduces. Edith begins as textbook passive protagonist just as Lord Sharpe cuts the figure of Byronic antihero just as Lady Sharpe appears as the film’s take on Rebecca’s Mrs. Danvers. Hierarchies are setup, steps are followed, but as the film wears on we find that this is much less a space of traditional feminine passivity and much more a house haunted by the ghost of someone more like Angela Carter: passivity is not rewarded, passivity is the thing that leads to trouble, and only an active heroine can shape her own destiny from the bleeding clay walls of Allerdale Hall. Fates are decided based on trope reversals, which may seem misleading or unfocused to many a viewer. After all, for a trope to be reversed, the narrative has to cater to our expectations. Guillermo del Toro does that expertly and with a flair that – at the very least – makes the film a dazzling watch. He gives us our ghosts, he gives us our jump cuts, bloody chambers, murderous moments, and howling winds. Then? He pulls a bait and switch that makes the film both frustrating and worth talking about. While far from a perfect film, Crimson Peak is the rare literary horror film, and one that could – and should – find an audience beyond its marketing.